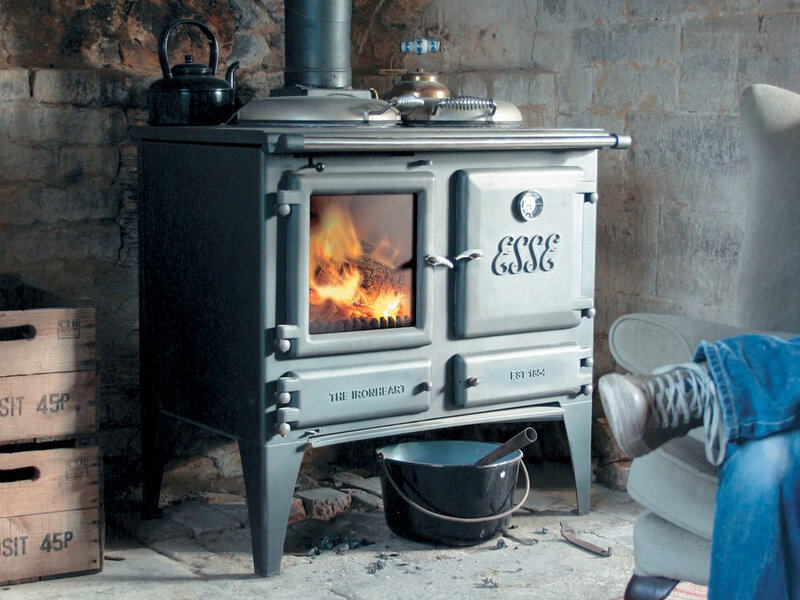 The Esse Ironheart wood cookstove is built for the serious cook. The hotplate can comfortable hold up to 6 pans, and the oven is close to 2 cubic feet. The firebox designed for continual operation, it can put out a peak of about 33,000BTU.